Jerusalem (AFP) – The success of the right-wing populist AfD in Germany’s weekend elections was met in Israel with a mix of concern and restraint, with the two countries’ close relations a factor. Prime Minister Benjamin Netanyahu congratulated German Chancellor Angela Merkel on winning a fourth term in Sunday’s elections but made no mention of the rise of the hard-right. Israeli survivors of Hitler’s Europe, however, said that they were shocked and worried by the result, in which the Alternative for Germany (AfD) party won about 13 percent, the best showing for a nationalist force since World War II. “We have an enemy in Germany,” said Saul Oren, a former inmate of Auschwitz and Sachsenhausen concentration camps who moved to Israel in 1968. “I am worried but nothing can be done to prevent this from happening in Europe,” he told AFP. Results showed the anti-Islam, anti-immigration AfD emerging as Germany’s third-biggest political force, after Merkel’s CDU/CSU bloc and the opposition Social Democrats. “I am very shocked,” said 86-year-old Berthe Badehi, who was in hiding throughout the Nazi occupation of France. “It’s like cancer spreading, it’s shocking that it’s happening in Germany,” she told AFP. “When I heard the results I recalled it,” she said. “Congratulations to Angela Merkel, a true friend of the state of Israel, for her re-election as German chancellor,” he wrote on his Facebook page. “Wishing continued success to our friend and ally,” deputy foreign minister Tzipi Hotovely, of Netanyahu’s right-wing Likud party, said in a Twitter message to Merkel. Avi Primor, Israel’s ambassador to Germany between 1993 and 1999, wrote in the Maariv daily on Monday that the swell of support for the AfD reflected a global disillusionment with mainstream politics. “That same disappointment, incidentally, is typical of the entire Western world as a result of the changes that came too fast in modern life and modern economies, and was also what brought Donald Trump to power in the United States,” Primor wrote in an opinion piece. 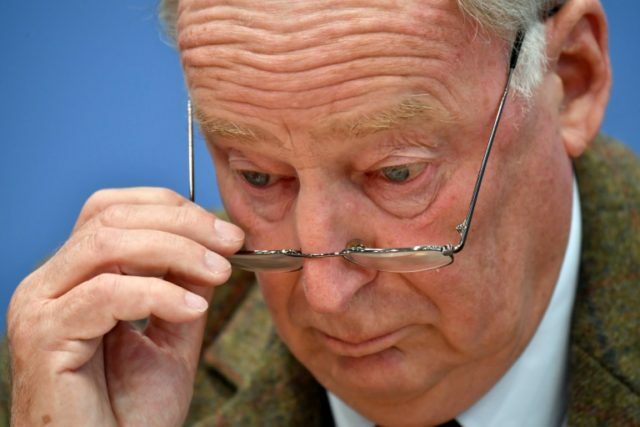 “The majority of those who voted for the AfD party undoubtedly do not exhibit neo-Nazi tendencies, although there are such people in the party,” he said. “It is abhorrent that the AfD party, a disgraceful reactionary movement which recalls the worst of Germany’s past and should be outlawed, now has the ability within the German parliament to promote its vile platform,” WJC president Ronald Lauder wrote on its website. Germany faces its “biggest challenge” since the birth of the federal republic in 1949 with the entry into the legislature of “a party that tolerates far-right views in its ranks and incites hate against minorities”, the Central Council of Jews in Germany said. Former Israeli Labour party leader Amir Peretz called it “a dark day for German democracy with the entry into the Bundestag of a racist and anti-Semitic party”. Tzipi Livni, who served in the past as foreign minister and justice minister, called on moderates around the world to unite against “the rise of extreme right-wing neo-Nazi parties”. But AfD number two Alexander Gauland told reporters that his country’s Jews had nothing to fear. “There is nothing in our party or in our programme that can or should in any way whatsoever worry Jews living in Germany,” he said. He has also suggested that Germany’s integration commissioner Aydan Ozoguz, who has Turkish roots, should be “dumped in Anatolia”.